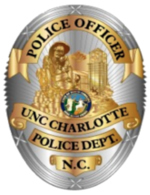 UNC Charlotte Police & Public Safety continues to promote a university wide culture of safety and encourages parents and students to establish an emergency plan of communication in the event of a crisis. Cell phones are an excellent means of communication, but a back up plan is essential. Students may register for thePIER Messaging program which sends text alerts in the event of a campus emergency and emergency blue light phones are stategically placed throughout campus to further ensure student safety. In addition, The Office of Parent and Family Services includes valuable information including safety tips through its monthly publications and other sources by clicking here. The UNC Charlotte Police and Public Safety (PPS) Department and the UNC Charlotte Dean of Students Office (DSO) work hand in hand to assist students in navigating UNC Charlotte polices, rules and regulations, as well as with questions and concerns about campus safety. The Dean of Students Office is located in King 217 and serves the UNC Charlotte community by acting as a resource for student advocacy issues; assisting students in understanding university rules and regulations including filing grievances and appeals; providing academic accommodations to students under special circumstances. It also provides student leadership opportunities, including involvement with the UNC Charlotte Student Government Association. UNC Charlotte utilizes an emergency alert system known as the PIER System. This system allows emergency personnel to send email, voice over phone messages, and text alerts to the personal phone of anyone signing up for the service and is free of charge to students, parents, faculty, and staff (recipients may incur text messaging charges from their personal cell phone provider).